We have compiled some of our clients’ most asked questions and sorted them according to category. If you don’t find your question here, please do not hesitate to contact us! Service Alberta has put together some excellent information on the following topics. Please click on the link to explore each in more detail. I just bought a car. What documents do I need to show to register it for the first time? You will need to present valid identification (such as driver licence), the original Bill of Sale or Lease Agreement, and valid insurance. If the vehicle is brand new, you will also need to submit the original N.V.I.S. (New Vehicle Information Statement), which will be given to you by the dealership. The Bill of Sale/Lease Agreement must contain the date, name and signatures of the buyer and seller as well as the year, make, model and serial number of the vehicle. The Proof of Insurance must have all buyer(s) listed and be in effect on the day that you come to register the vehicle. We will not accept expired insurance or a policy that has not started yet. All buyers listed on the Bill of Sale or Lease must be present in order to register the vehicle. If one party cannot make it, we require a completed Authorization Form (PDF) in order to complete the service. I need to renew the registration for my licence plates. What will I need to bring with me? 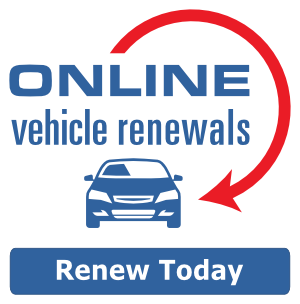 If the registered owner cannot come in to renew, you can bring in the original current registration certificate (or clear copy of), or a completed Authorization Form (PDF) that gives consent to another person to renew on their behalf. Proof of Insurance is mandatory. I have moved to Alberta from another province and brought my vehicle with me. How can I register this vehicle with Alberta licence plates? To register an out-of-province vehicle in Alberta, it must first pass an out-of-province inspection with a licenced mechanic. Before the mechanic can perform the inspection, they require an out-of-province inspection request form, which can be purchased through us. We will ask you for valid identification and your current registration or bill of sale. Once the vehicle has passed the inspection, the mechanic will give you an Inspection Certificate. Bring this back along with your proof of ownership and valid insurance in order to obtain an Alberta licence plate. Should your vehicle come from outside the country, in addition to the above requirements, you will need to bring the original Transport Canada Vehicle Import Form (Form 1) that you received when the vehicle entered into Canada. I sold my vehicle and no longer need my licence plate. Can I return the plate to a Registry agent? You can come to our office and cancel the registration associated with your licence plate. Depending on the time remaining until expiry, you may receive a pro-rated refund amount from the Government. Please note that there will be a service fee charged to cancel your registration. I am thinking of buying a vehicle through a private sale and would like to find out its history. How can I obtain this information? It is always advisable to do your research prior to buying a used vehicle as you don’t want to find out that you have become liable for an unpaid debt on the vehicle or that the vehicle cannot be registered as it is stolen or written off. To help you, we offer three types of searches for vehicles that have been previously registered in Alberta. A Vehicle Information Report will tell you the registration history of the vehicle in Alberta, what the status of the vehicle is, for example, active, written off, stolen, etc. It will also tell you if there are any liens (unpaid debt) in Alberta, but if there are, it will not give any details about the lien. A Lien Search will tell you details about any outstanding liens – who owes the debt, and who the debt is owed to. However, it will not tell you any information about the vehicle itself. If you are looking for more comprehensive information, a CarProof Search will give you Canada-wide data about the vehicle. All search products are non-refundable so please ensure you have the correct serial number for the vehicle. Knowing the year, make and model is also helpful. Yes we do! You can either choose your own arrangement or purchase a Support Your Troops plate. The plate of your choosing will take approximately 4-5 weeks to be manufactured and then mailed out to you. The Support Your Troops plate configuration cannot be chosen, but will be mailed out to you within 6 business days with a pre-set number. Once you receive the plate, there will be a fee to exchange it with the licence plate on a currently registered vehicle. Please note that these specialty plates must be ordered in the name in which the vehicle is to be registered. Unfortunately you cannot order one under your name as a gift for someone else. Yes, you can purchase an In-Transit Permit in order to move your vehicle between two points in Canada; all travel must be within Canadian borders, and either the starting point or destination point must be within Alberta. You must present valid identification and valid insurance for the vehicle. If the vehicle is moving outside of Alberta, you will also need to provide proof of ownership for the vehicle. Depending on your situation, the duration of the In-Transit Permit can range from 24 hours up to 7 days. I am an UBER Driver. How should my vehicle be registered? UBER Drivers are required to have a ride-for-hire (Class 1-55) licence plate for the vehicle they intend to use for UBER services. Simply come in and see us to transfer your existing vehicle registration to this new plate for a fee. You will also need to provide proof of valid insurance. What identification and documentation do you require prior to obtaining an Alberta driver licence/identification card for the first time? Please click here for a complete list of the Government’s identification and residency requirements. What is the minimum age for obtaining a driver licence or an identification card? What if I am under 18? The Learner licence minimum age is 14 and the Identification card minimum age is 12. We require a signed parental consent form for minors (under 18) and identification from who is giving consent as well as the required identification for the minor. Grandparents, aunts/uncles and siblings cannot give parental consent for minors unless they are the court-appointed legal guardian. Do I need to book an appointment to take a learner test? What languages are available for the test? Appointments are not necessary but we stop testing one hour before closing in order to give the student enough time to write without being pressured to rush through the test. The Class 7 learner test is available in several languages including Punjabi, Hindi, Arabic, French and Chinese. All other classes of knowledge tests must be done in English. All exams are done on the computer as paper tests are no longer available. What classes of Road Tests are available? Can I book a Road Test over the phone? We offer Road Tests for all classes of licences. Road Tests can be booked in person or online through our website, but not over the phone. It is always advised to come into our office to check your driver file prior to paying for your test. Eligibility can only be checked in person with valid identification. Situations such as not enough time spent as a learner, unpaid fines, and suspensions can all impact your eligibility for the exam. It is convenient to use our online booking system, however if you discover that you cannot take the test for any reason after you have paid for your booking, your fee is non-refundable. We require payment in order to hold your appointment time. Road Tests are non-refundable once booked. We invite you to use our Express Road Test Booking line in order to save you time when you come in. Do I need to own a vehicle in order to use it for my Road Test? No, the student taking the Road Test does not need to be the registered owner of the vehicle. If needed, the Road Test Examiner has a rental car available for the Class 4, 5 and 6 exams. Please inquire for rates. How do I renew my driver licence or identification card? Your existing licence or identification card must be surrendered to us. You will receive a paper interim licence that will allow you to drive until your new card arrives in the mail, or a paper receipt for your identification card. As this interim document cannot be used as photo identification, please do not leave your renewal to the last minute! Should you have any medical conditions that affects your driving such as diabetes or prior heart attack/stroke, you will need to notify us and may need to present a completed driver medical form. Depending on your current status in Canada, you may also have to present a valid work or study permit or new Permanent Residency documentation. If your card has expired for more than 6 months, you will be required to present proof of your status in Canada as well as your proof of residency in Alberta. If your driver licence has expired for more than 3 years, you will be required to complete both a learner and a road test, in addition to presenting proof of status and residency. The Government’s list of identification and residency requirements can be found here. How can I change the address or name on my driver licence or identification card? As with the driver licence renewal process, you must surrender your current licence or identification card. Proof of the new address is not mandatory but is helpful to ensure accuracy. You will receive an interim licence and the new card will arrive to the new address in approximately 2 weeks. For a name change, you will also have to bring proof of the change, such as a marriage certificate, birth certificate or a legal change of name certificate. All documents shown must be original. If you have any vehicles actively registered under your name, once the information on file is changed, we are required to print out a new copy of the registration documents for all vehicles. A nominal fee will apply for each printed registration. What can I do if I have lost my driver licence or identification card? If your card has been lost, stolen or destroyed, you may obtain a replacement by presenting two pieces of identification. If you have lost all of your identification, we can accept two items such as mailed bank statements or utility bills in lieu, subject to manager approval. An interim licence will be issued and the new card will arrive to you in approximately 2 weeks. I have a driver licence from outside of Alberta. What is the process to exchange it for an Alberta driver licence? A valid licence from another Canadian province, the United States and certain reciprocal countries may be exchanged for a driver licence in Alberta without doing additional driver testing. You may be required to obtain a Confirmation Letter from your home jurisdiction if more information is needed. In addition to surrendering your out-of-province licence, you will need to complete a vision exam in our office. If you have a commercial class licence, you will also need to present a completed medical form. If you hold a licence from a non-reciprocal country, you are required to take the learner test first. Once you pass the test, you must surrender your original out-of-country licence prior to being issued a Class 7 Alberta licence. Depending on how much driving time is associated with your licence, you may be eligible for an exemption to the one-year waiting period for the road test. I need my Driver Abstract. How can I get one? A Driver Abstract contains all of your driving history over a certain period of time and is considered to be confidential information. Therefore, you must apply in person with valid identification. Abstracts cannot be requested online or over the phone. If you require your Driver Abstract but are unable to come in personally, you can authorize another person to appear at the registry to obtain your Driver Abstract. You will complete the Driver Abstract Consent form, and the authorized person will complete the Driver Abstract Statement of Intent form (both forms can be found here). With these two forms together we can release your abstract. That person will be required to show proper identification and make payment. If you live outside of Alberta and do not have anyone that can come on your behalf, you must follow the Detailed Instructions For Notarized Request for Personal Driving and Motor Vehicle Information (PDF) and complete the Notarized Request for Personal Driving and Motor Vehicle Information (found here) to obtain your driving information. I need a parking placard that will allow me to park in a handicapped parking spot. What is the process to apply for one? Your doctor or physiotherapist will complete a Disabled Parking Placard Application (PDF)which you will bring in to have a placard issued to you. The type of Parking Placard (short term vs. long term or permanent) will be determined by your doctor. To renew your placard, your doctor will have to complete a new application unless you have a Permanent Parking placard. To renew a permanent placard, simply come into our office to self-declare. I am thinking of starting up my own business. What types of business name registrations do you offer? We register Trade Names (sole proprietorship), Partnerships and Numbered/Named Incorporations. What is the process to set up an incorporated business? Decide whether your company will be a Numbered company or have a proper Name. Complete the Articles of Incorporation, Notice of Address and Notice of Directors forms found under Section 3 of this Service Alberta webpage. If you are setting up a Named company, you will have to do a name search (NUANS report) to ensure the name you have chosen is available for use. Once the paperwork is filled out and the NUANS report is complete (if applicable), the company is ready to be incorporated. Numbered companies can be set up right away as there is no NUANS needed. Completion time for a named company is dependent on how long it takes the search house to generate the NUANS report. We also carry the Legal Ease Incorporation kits in our office. I received an Annual Return notice in the mail. Can I file this through you? Absolutely! Simply bring in your notice and valid identification. If your company’s Annual Return is due but you do not have the notice, we have the form in our office, or you can print one from this Service Alberta webpage, under the Change or Update section. My business has moved and I need to change the address. How can I do this? Simply complete the Notice of Address form, found under the Change or Update section on this Service Alberta webpage, and bring it in with valid identification. I need a GST number, business license and need to register with WCB. Can you help me? We are only able to set up the business name. For a business or GST number, please contact the Canada Revenue Agency. For a business licence, please contact your local municipal office, for example the City of Edmonton. For WCB, please contact WCB. What kind of information changes can your office perform for my business? We can process changes to business addresses, directors, shareholders, and business name. I need to find out some information about a particular business. Can you help me with this? Yes, we can do a Corporate Search for you. This will tell you the most current information on file about a company including its status, address, directors and shareholders. What is the process to order a vital statistics certificate? We require valid photo identification and a completed form for the required service. Only certain individuals are eligible to order certificates, such as the parents listed on a child’s birth record, or the next-of-kin for a death certificate. Click here for a complete list of eligibility. I was born outside of Alberta. Can I order my birth certificate through you? We can only order certificates for events that happened in Alberta. If the event occurred outside of Alberta, please contact that particular province’s Vital Statistics department. I am ordering my child’s birth certificate but I need to have it as soon as possible. Can I rush the delivery of the certificate? The normal time to receive your document is approximately 2 weeks by mail. You may request to have the certificate rushed to our office for pickup within 3 business days as long as all information has been registered on the Vital Statistics system. Courier fees will apply on top of the certificate order fee. We are getting married and require a marriage licence. What is the process? Both parties to the marriage must attend our office with valid photo identification and complete a Marriage Licence Application Form (PDF). If either of the parties has been married before, they will have to show an original certificate of divorce. Divorce judgments are not accepted. Once issued, the marriage licence is valid for 90 days and only for marriages taking place in the province of Alberta. I do not have photo identification. How can I order a vital statistic certificate? You can authorize someone personally known to you to act as your designated agent. They will need to provide valid photo identification and complete a statutory declaration. The statutory declaration is to be signed in front of a commissioner of oaths; we provide this service for an additional fee. What documents will I need to bring to set up a new Alberta Health Care account? You will also have to complete a New Application for Alberta Health Care, which is available in our office or on the Alberta Health Care Website. I have lost my Alberta Health Care card. How can I replace it? You will need to show valid photo identification to request a replacement card. It will take approximately 2 weeks to arrive to you by mail. Alberta Health and Wellness allows an individual to replace their card up to 5 times at no charge. For any subsequent replacements, you will have to complete a statutory declaration and have it signed in front of a Commissioner of Oaths. A fee will apply for this service. What kind of changes can you make to my Alberta Health Care account? We can change your address and name as well as add or delete any dependents. Do you accept photocopies of any documents? We are unable to accept any photocopies. Any documents and pieces of identification presented MUST be originals. What is the purpose of the Personal Property Registry? The term “personal property” is used to describe consumer goods such as cars, household and personal items. Interests in personal property must be registered in the Personal Property Registry to avoid possible loss or legal conflicts. Registration of your interest in the Personal Property Registry does not guarantee priority over all other interests, however it is a necessary step to protect your interest. The Government has provided an excellent list of Common Questions regarding the Personal Property Registry. What kinds of Personal Property Registrations can be completed at your office? We do most kinds of Personal Property Registrations. The most common ones we do are Security Agreements (liens), Writs of Enforcements and Garage Keeper’s Liens. Can I check to see if there are any judgements or claims registered against me? Yes, you can pull an Individual Debtor search. This search is performed against an individual or business name. It will list the details of any outstanding liens, judgements, claims, writ of enforcements and other Personal Property Registrations. Can I find out information about a certain property at your office? Yes, we can perform a Land Title search for you. You will need to provide the property’s Legal Land Description, which can be found on the annual property taxation notice or on a mortgage document. If the property is located in Edmonton, you can find the Legal Land Description by street address on the City of Edmonton’s website. Alternatively, we can perform the search for you in our office for a nominal fee in addition to the fee for the Land Title search. Does your office provide mortgage discharge services? We do not discharge mortgages in our office. Your lending institution will provide you with a discharge document, which is to be taken to the Land Titles Office. I need to make some changes to my land title information. Can you help me with this? Both locations are open 8:15 am to 4:00 pm Monday to Friday, and can be reached via email at lto@gov.ab.ca. The Government has compiled an excellent list of Common Questions about Land Titles. Please go here for more information. What types of fines can be paid at your office? You can pay current and overdue traffic tickets such as photo radar and other traffic violations (yellow ticket). If the fine is not overdue, you must have your original ticket with you. We do not accept payment for City of Edmonton bylaw or parking tickets (blue and white ticket), airport or Impark-type parking tickets, and summons (pink ticket). Also, we cannot take payment for tickets that have been given an extended time to pay, or a reduced amount. Fines and ticket payments may only be paid by cash, debit or credit card. There will be a service fee charged per ticket paid. We take cash, debit, cheque, credit card, money order and bank drafts. Fines and ticket payments can only be paid by cash, debit or credit card. Please note that should you choose to pay by credit card, there will be an additional fee of approximately 3% charged on top of the total service amount. Do you have a Commissioner of Oaths and Notary Public available? Do I need an appointment? We have a Commissioner of Oaths on staff at all times but not a Notary Public. No appointment is necessary. Should you require a Notary, a good place to visit would be a law office. The fee charged for this service is dependent on the number of or the complexity of the documents to be signed. I need some cards laminated. Can I do this at your office? We can laminate items as small as your Alberta Health Care card and as large as an 8.5” x 11” piece of paper. Prices will vary depending on the size. Do you do boat registrations and boat testing? Unfortunately we do not register boats or pleasure crafts; registration is done through Transport Canada. All Boat Testing is done online, not through the registry. We have partnered with the Ace Boater website for the course and final exam. Click here to access the website, use the code word “ACEBOATER10” and let them know we referred you in order to get a discount off your exam fee. My non-profit organization will be hosting a prize draw. Can I get a raffle licence from you? We can issue raffle licences for ticket values of less than $10,000. Your organization will first have to establish its eligibility with Alberta Gaming and Liquor Commission. Once eligible, stop by our office and complete a Raffle Licence application. We can issue the licence for you right away. .